When you’re feeling down and feeling a little blue, sometimes you just need a little pick-me-up that will allow you to blow your nose, straighten up your jacket, and put on your dancing shoes. Although a rom-com and a tub of ice cream might do the trick, nothing quite comes close to the healing powers of an awesome sitcom. Known formally as a situational comedy, a sitcom follows the life of a group of people – normally a family – who go about their daily lives. Of course, that would be pretty boring, so the creators of these shows like to mix things up a bit. They love to add drama into the show, they love to get creative, and they love to show trouble and strife. Because of this, the world has become obsessed with the sitcom – but did you know it’s actually a lot older than you might think? Yes, the first sitcom made its way onto American television screens in 1947 and sparked a sitcom revolution that brought us some of the greatest shows of the ‘50s and ‘60s. One of the most impressive shows of this era was The Donna Reed Show, which featured the star of the holiday fantasy movie, It’s A Wonderful Life. 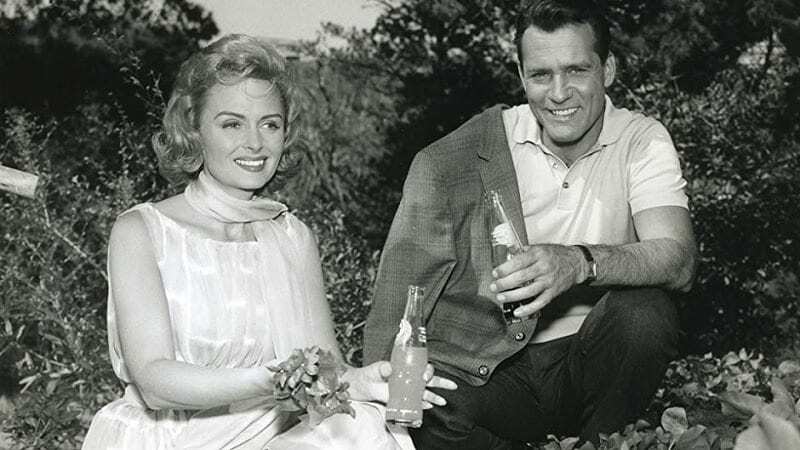 Yes, not only was the show named after Donna Reed, but it also featured her as the leading lady, and she even wrote and produced many of the episodes! Taking on the role of a typical matriarch in a middle-class family, people expected Donna Reed to be your average housewife – but she was so much more. This show pushed boundaries, tested the limits of sitcoms, and gave women the chance to truly prove their worth. Because of this, The Donna Reed Show became one of the most popular TV shows in history and has since been fondly remembered by those who watched the show when it was on the air, and those who have stumbled upon re-runs in previous years. Of course, if you have seen every single episode, you probably think you know everything about the show – but do you know these facts and behind the scenes secrets about The Donna Reed Show? Have you ever wondered how the heck producers and directors come up with the idea for a new show? While some people spend hours brainstorming and coming up with the perfect theme and genre, there are others who find that inspiration strikes at the most unlikely of moments. That’s exactly what happened with Donna Reed and her show. The actress was struggling to create a hilarious concept for a new project, but it was actually an executive at Screen Gem who had the idea of creating a family sitcom. This idea came to him when he saw a real-life photograph of Donna and her family. It was so simple. It was right under their noses! Although Donna Reed and her character Donna Stone were the main people on the set of The Donna Reed Show, the actress didn’t want it to be all about her. Because Donna wrote many of the episodes of the show, she had a lot of control over the storylines and where the characters fit into that story. While she knew that she would have to play a major part as the title character, she also made sure that her co-stars got their time to shine. She didn’t always want the limelight, and she wanted others to have similar opportunities as her. Today, it’s impossible to think of a world where all of the awesome seasons of The Donna Reed Show don’t exist – but it seems as though this could have been a reality. 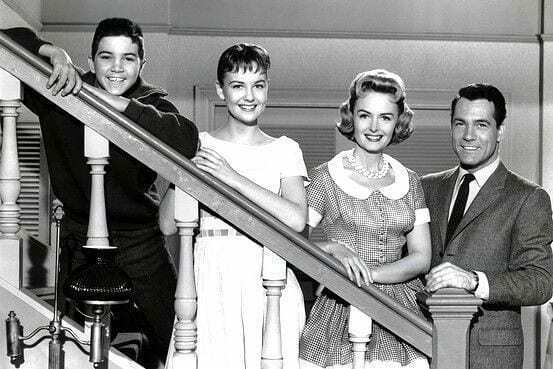 When this show first came onto the air, the new concept and the fact that it was going up against some of the biggest sitcoms of the ‘50s did not work in its favor. ABC struggled to get viewers tuning in, and the numbers just weren’t adding up. Because of this, they were seriously contemplating canceling the show altogether. However, they eventually decided to give it one more chance. Donna Reed did not just star in the Donna Reed Show, she was one of the main reasons it existed in the first place. The production company for the show is called Todon and it was founded by Reed and her then-husband Tony Owens. Reed was largely uncredited for her role in the production process of the show. Though the show was created by William Roberts, it was co-produced with Owens and developed with Reed. 1950s television wasn’t exactly kind to the average woman. 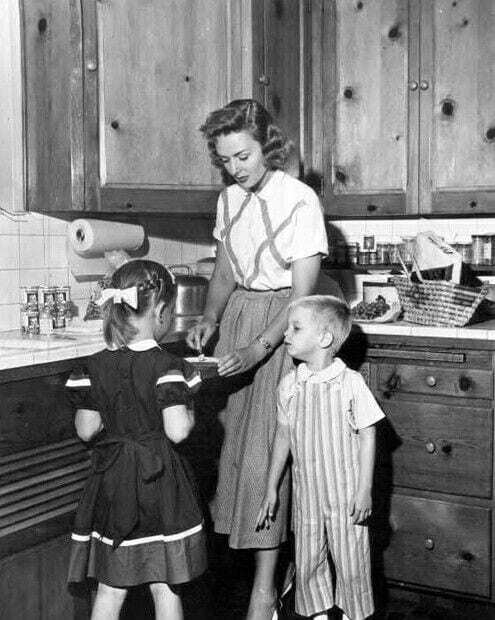 Females were depicted as stay-at-home mothers, and they were there to cook, clean, and fulfill the gender stereotype. Although Donna’s character was like many of these women, she also tried to break boundaries and break normal television rules. She was not your average character and would do everything she could to become an active member of the community. She proved herself to be a strong woman, which meant she soon became one of the biggest role models of that era. Donna was making waves with her character that challenged gender roles of this time period. Back then, women were supposed to confirm to society and know that they had a specific place where they belonged. Reed, however, wasn’t having any of that. Her character went after a career because she believed that women can be moms and work too. The show was only the second one to have a woman star in it as a major character- the first was I Love Lucy. We all know that TV series often go through a period of change in the development process, and The Donna Reed Show was no different. 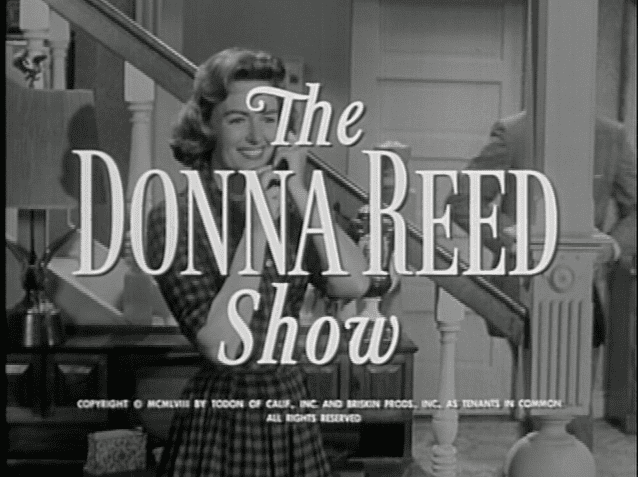 In fact, it wasn’t going to be called The Donna Reed Show at all! When the producers were creating the main storyline of the show and inviting Donna to take on the lead role, they wanted the title to highlight the fact that a woman was taking center stage. So, they had in their minds that they were going to call the show Mother Knows Best. Thankfully, they changed their minds. You don’t need to be a genius to know that The Donna Reed Show was hugely popular. It brought in thousands of fans each week, and more and more people were growing to love the hilarious comedy on their screens. In 1979, the buzz around The Donna Reed Show had not slowed down, even though it had not aired in over a decade. The producers knew that many other shows from the ‘50s and ‘60s were creating reunion episodes, and they wanted to do the same. Although all of the plans were in place, they came crashing down when Carl Betz sadly passed away. 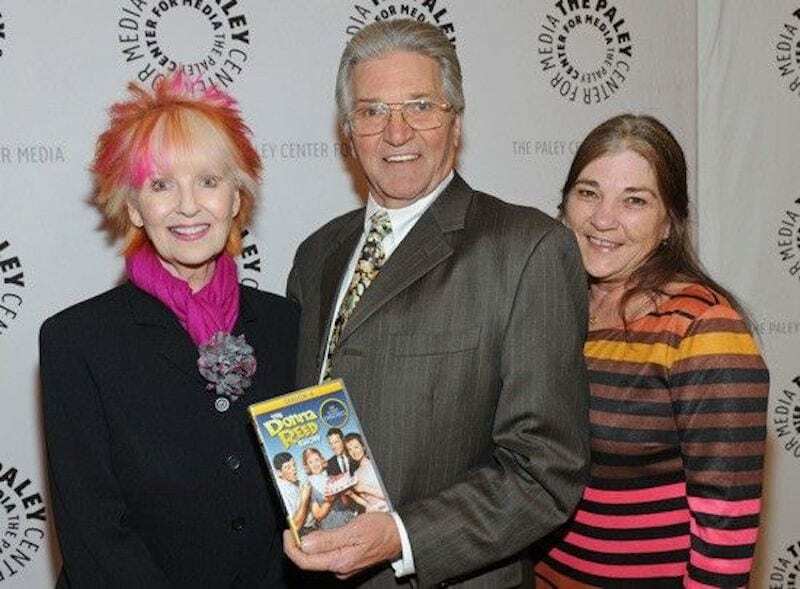 Paul Petersen, and Patti Petersen were in attendance – Mary, Jeff, and Trisha Stone (Donna’s TV children). The event included a screening of some of the show’s highlights and best moments along with rare footage that hadn’t been aired or seen in decades. The mini-reunion was the same day that the DVD – titled Season Four: The Lost Episodes- was released with seldom seen episodes from the show. As the star of the show, it seems as though Donna Reed was not only loved by her fans at home. The cast of The Donna Reed Show only had good things to say about the actress both during and after filming. 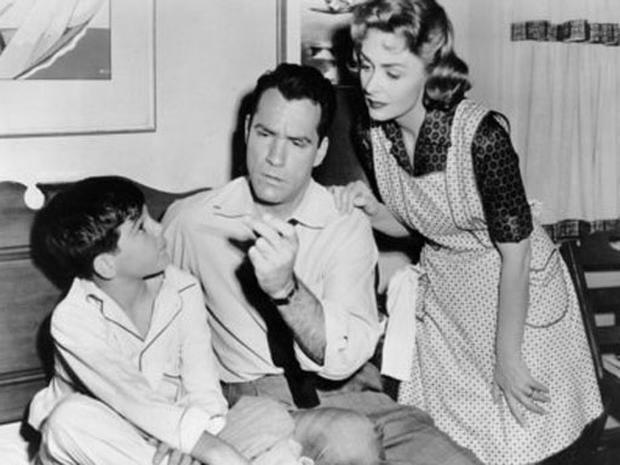 Paul Peterson, who played her on-screen son, says that Donna became the nurturing adult he needed in his life to survive his years of being a child star in the acting industry. She helped him understand the goings-on of a TV set, and she even helped him stay strong during a few tough years. No, the same last name is not just a coincidence between Paul and Patti Peterson (a.k.a. Jeff and Trisha Stone). The two are actually brother and sister in real life, though they are only adoptive siblings on the show. So, yes, they are good actors, but they did not have to fake the bro-sis bond for their screen time because it was already very much there. While Jeff was a series regular for all eight seasons, Trisha was adopted later on and joins the cast in season five. Normally, television shows give us a little insight into where they are located. Even if they are fictional towns and cities, they are normally located in a real-life state. But there are other shows that don’t give us that information. After all, where the heck is Springfield? Where is Raytown? The same can be said for Hilldale because the cast never give any hints as to where this town is in the country. Yet, many fans have speculated that it could be in Iowa, where Donna Reed grew up and lived for the early years of her life. However, the compliments don’t end there. 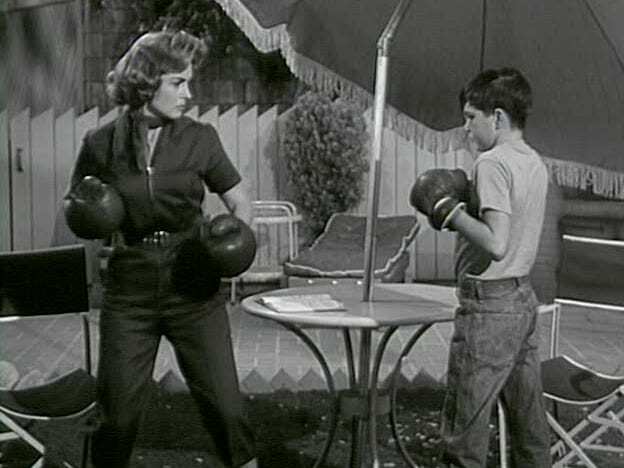 Alongside her on-screen son, Donna’s on-screen daughter had something to say about the actress when The Donna Reed Show came to an end. 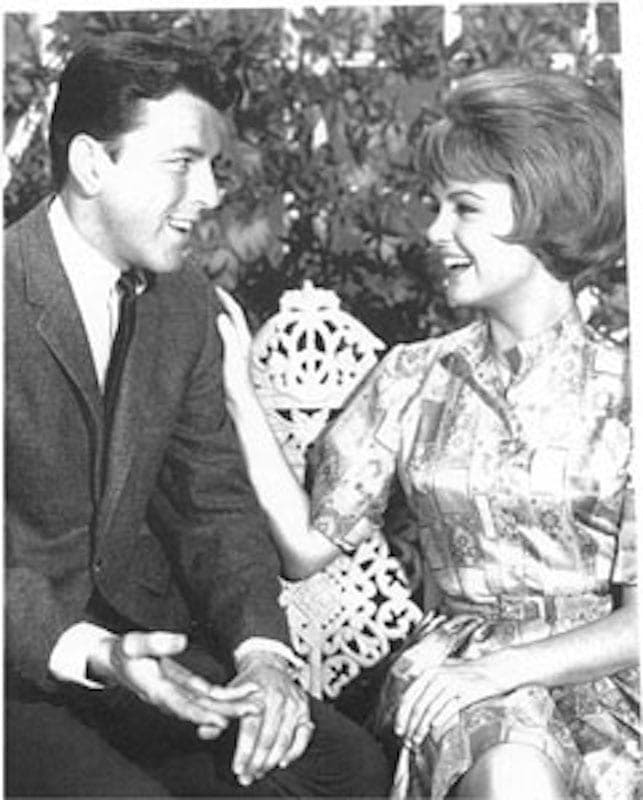 Shelley Fabares considered Donna to be like her adopted mother while they were filming the hilarious sitcom. Donna looked after her, she supported her, and she always made her laugh even when the cameras weren’t rolling. Most of all, Shelley admired Donna for being curious. She wanted to push boundaries and push the limits of her own strength, which she did all of the time. 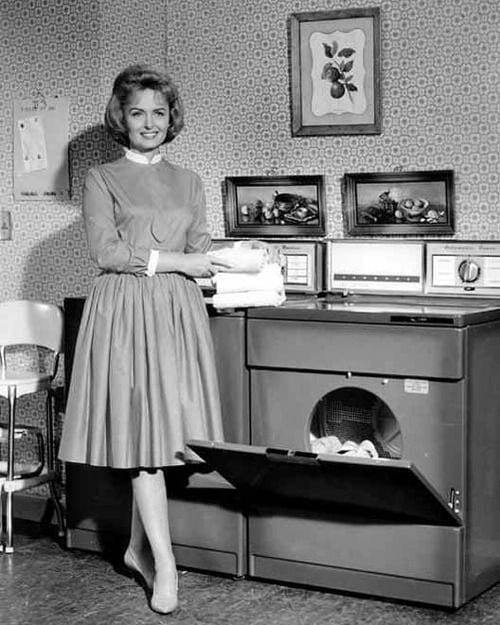 The Donna Reed Show took place in various different locations. They filmed in houses, they filmed in the streets, and they even filmed in grocery stores! If you’re an eagle-eyed fan of The Donna Reed Show, you might have noticed that there were a few extra additions at the store. More specifically, there were always cans of Campbell’s Soup, Johnson & Johnson Baby Powder, V-8 Vegetable Juice, and even Franco-American Spaghetti in the background. This was because the show was actually sponsored by these companies and products and they had to advertise them as part of the deal. 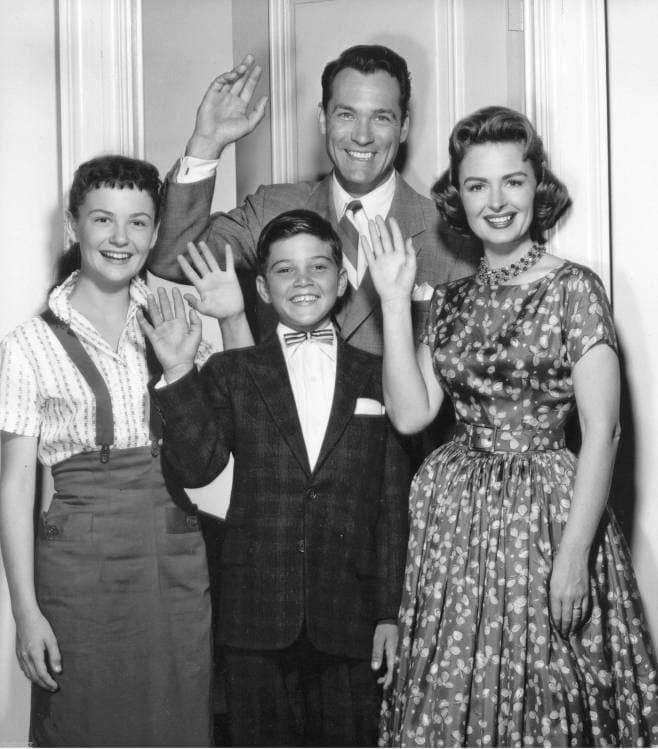 Sitcoms are largely regarded as hilarious depictions of unusual family scenarios, but Paul Peterson – who played Jeff Stone – has noted that The Donna Reed Show was a little different. Rather than being weird and wonderful, this show actually focused on the real world. The characters experienced problems that could affect anyone at home, and they were incredibly relatable. In his eyes, that’s why the show proved so popular among viewers at home. They really were just an average family with everyday problems, rather than being removed from society in the world of fiction. When you see actors and actresses playing a character in a movie or television show, you know that they are doing their job. You know that they are being paid to play a completely different person, and you know that they must have their own personality when the cameras are switched off. 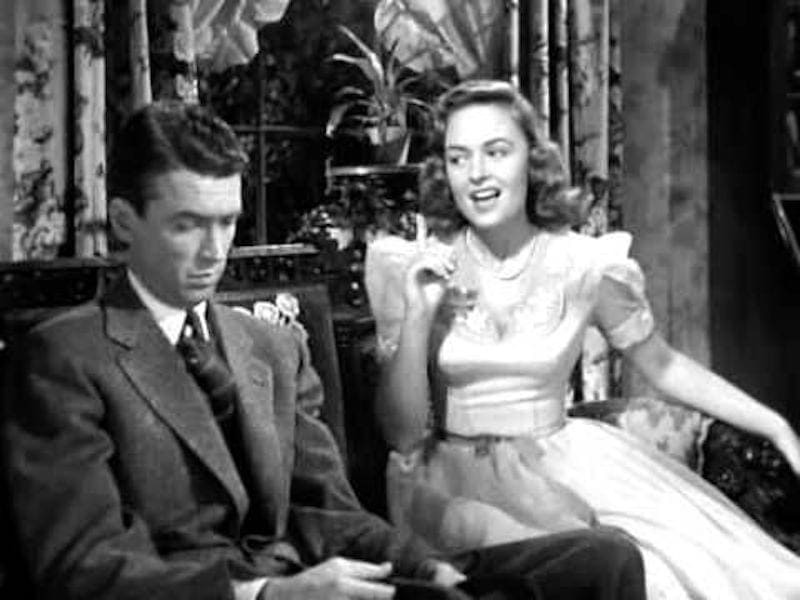 However, it seems as though Donna Reed didn’t have to act too much when playing Donna Stone. Those who worked on the show with her have noted that they were almost identical in their personality and mannerisms. 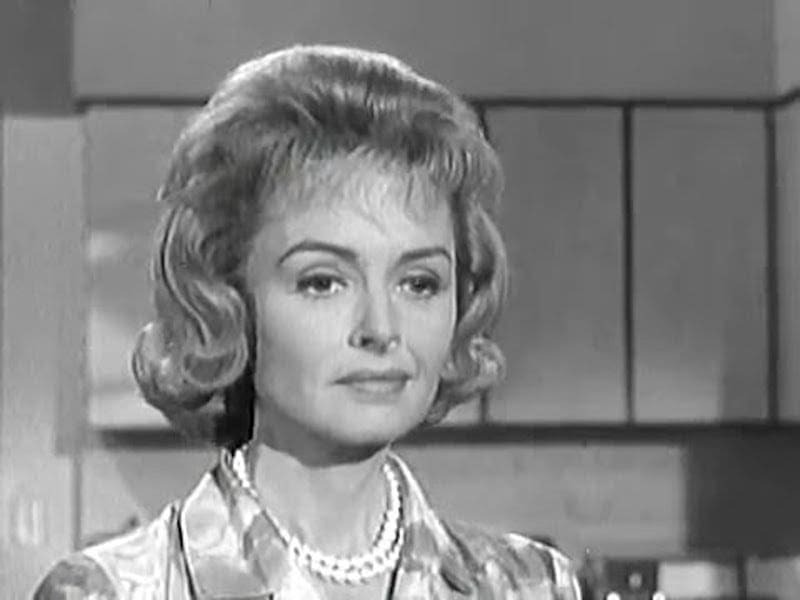 The Donna Reed Show will always be remembered for having a strong female lead in the driving seat, but it seems as though they used recycled scripts during the course of its run! 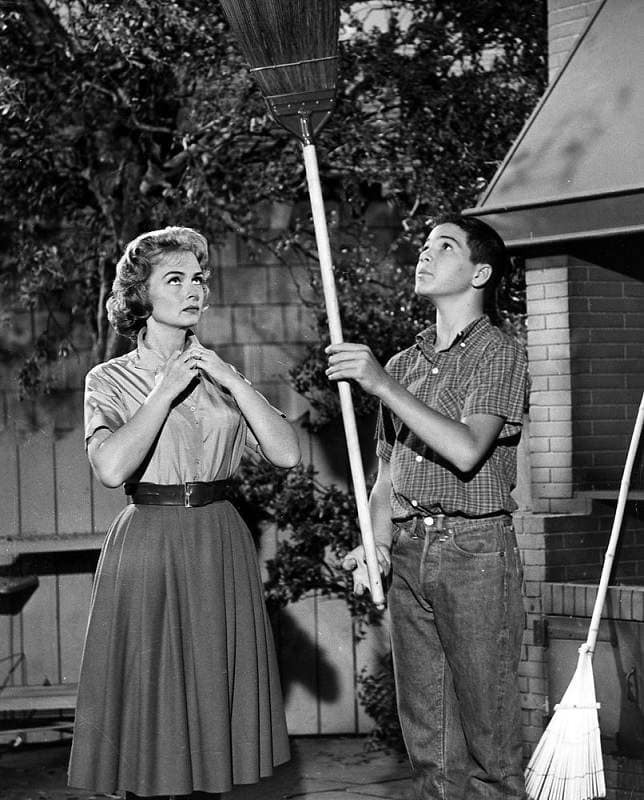 At the same time as The Donna Reed Show, the sitcom Father Knows Best was just as popular. The concept of this show was incredibly similar but followed the life of a patriarch rather than a matriarch. 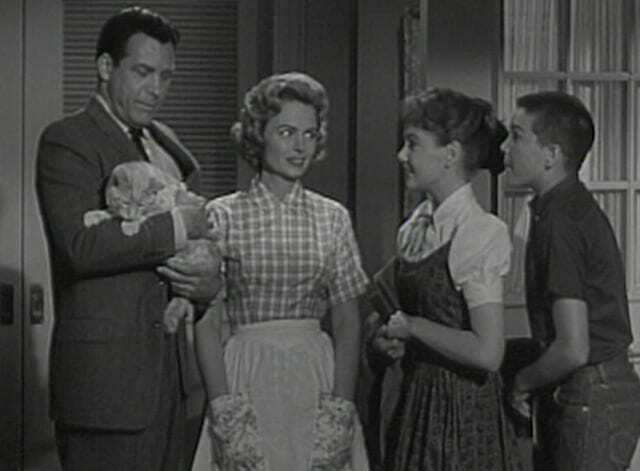 Because they were so similar, The Donna Reed Show would often take scripts from Father Knows Best and change them slightly. 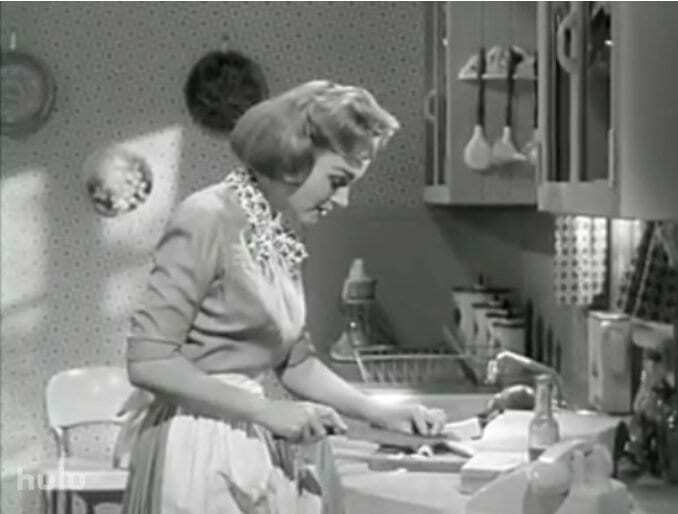 Back in the day, in order to be a fabulous homemaker, women were usually expected to cook proper meals for their families. This was definitely the case in the era of The Donna Reed Show. While every family is different today – some men do the cooking, sometimes the responsibility is shared, or the family eats out at restaurants- everyone still loves homemade desserts. A popular item of choice is the bundt cake. 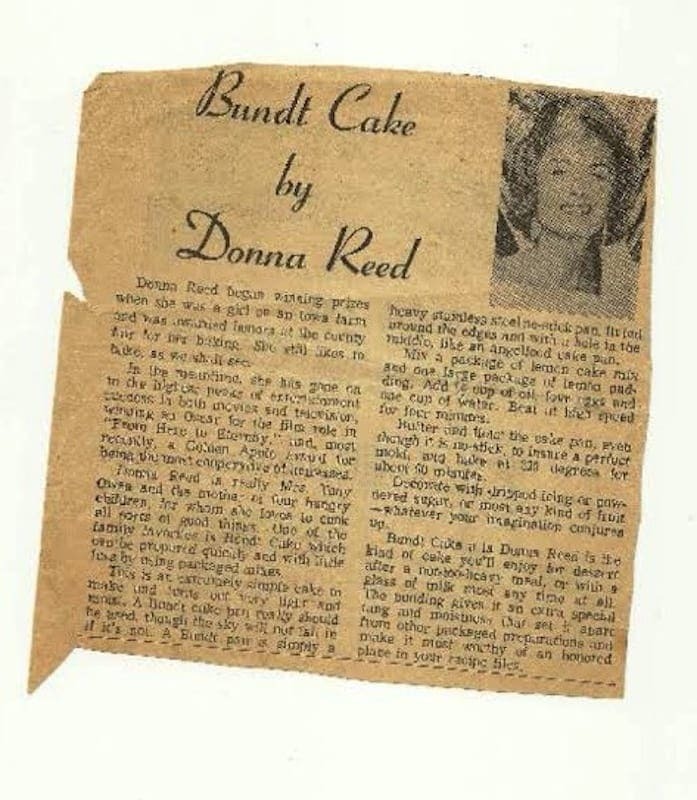 Thanks to Donna Reed, a delicious recipe can be found online for the world to enjoy. 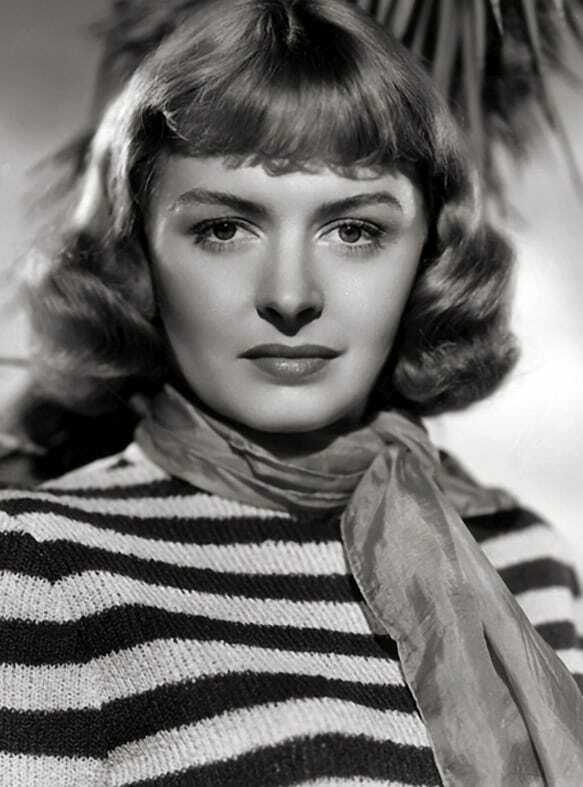 Throughout most of her career, Donna Reed was an extremely popular actress with some of the biggest friends in the highest of places. She liked to keep her circle large and well-rounded and schmoozed with some of the most famous actors and actresses of the day. This actually worked in her favor when making The Donna Reed Show, because she would often ask these friends to guest star. She would often invite the likes of Buster Keaton, Esther Williams, and Jimmy Hawkins to come on her show and cause a ruckus. 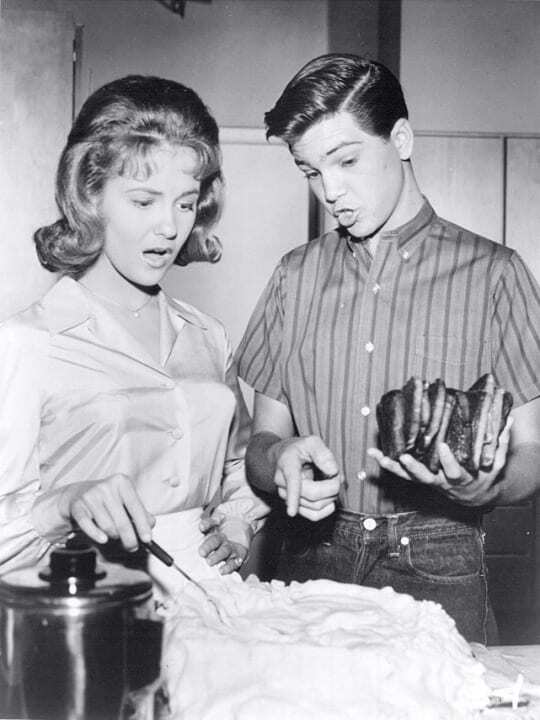 Shelley Fabares is still known today for her role in The Donna Reed Show, and although the former child star truly made an impression as an actress, it seemed as though her true passion came in the form of music. As an aspiring singer, Shelley tried to get her music career off the ground and used The Donna Reed Show to do so. So, in 1962, she debuted one of the most famous songs to date in the episode, “Johnny Angel.” This decision paid off, as the song soon became a number one hit. By the 1960s, Donna Reed was so overwhelmed by the busy filming schedule of The Donna Reed Show that she decided that enough was enough. She was struggling to create new ideas and concepts for the show, and she knew that she was not spending as much time with her family as she wanted to. Because of this, she asked to leave the show – but ABC did not want to cancel one of the most popular prams. Instead, they agreed to reduce the number of episodes each year to give Donna more free time. 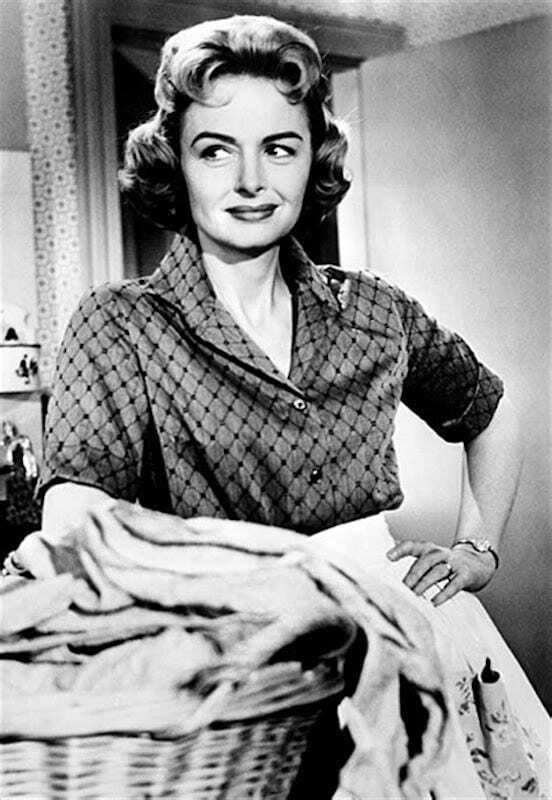 By 1966, Donna Reed had continued to maintain her reduced schedule with filming but had grown increasingly weary and tired of the acting world. She wanted to leave The Donna Reed Show on her own terms and wanted to be the one to pull the plug. So, she decided to hand in her resignation and retire from the world of acting altogether. She also made the active decision to shun any TV or movie opportunities that came her way, because she was not happy with how they represented women in the media. Because The Donna Reed Show debuted onto our screens in the 1950s and 1960s, it’s unbelievable to think that its legacy has continued for decades – but it has! In fact, the show has often been referenced in popular culture. Most notably, the show made an appearance on the awesome ‘00s comedy-drama, Gilmore Girls. During one particular episode, Rory and her boyfriend watch reruns of the show and debate the storylines, and she even dresses up as Donna Reed to serve her boyfriend a delicious home-cooked meal. The Donna Reed Show will always go down in history as one of the most famous sitcoms of all time, but it seems as though we’re not the only ones who think it was pretty great. 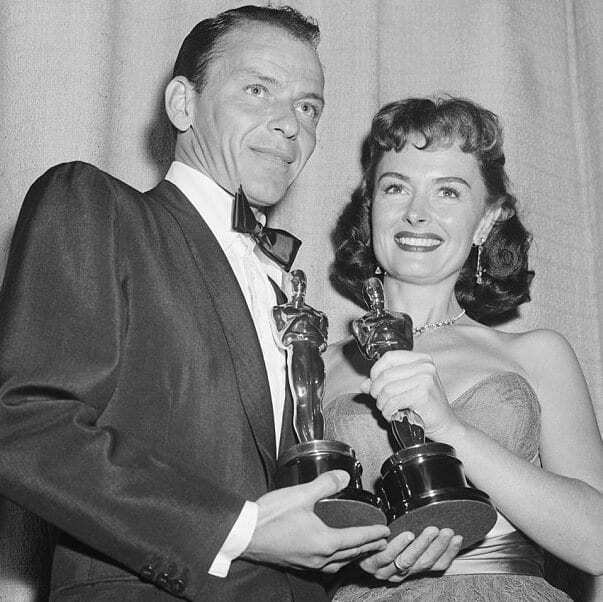 During its run and after, The Donna Reed Show has won numerous awards, and so have the cast and crew. 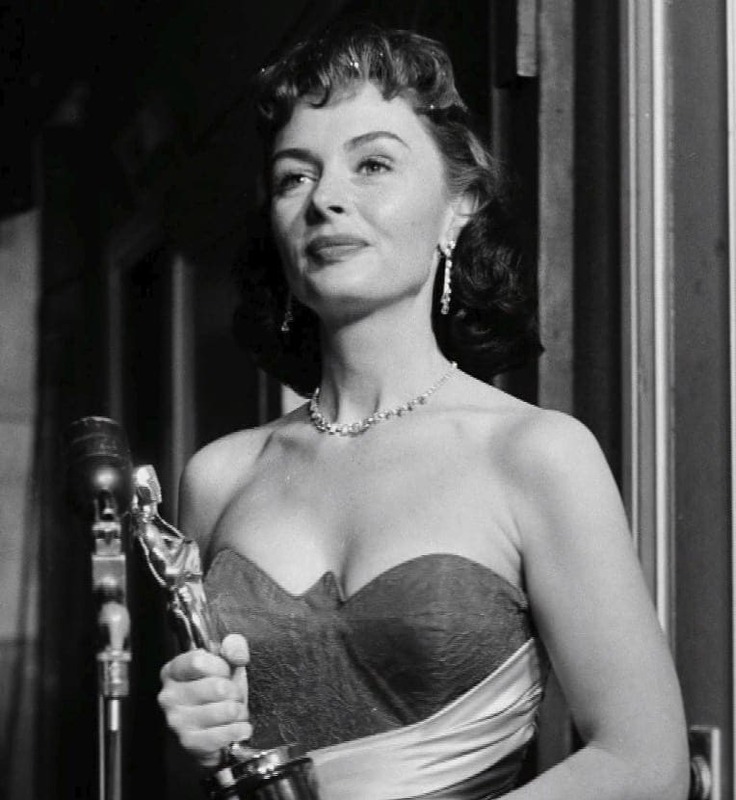 Donna Reed herself was nominated for four Emmy Awards during the 1960s for being the lead actress, and she even won a Golden Globe Award for being the Best TV Star. Now that is something to remember them by. Jimmy Hawkins wasn’t necessarily just a friend to Donna. They had also worked together before. 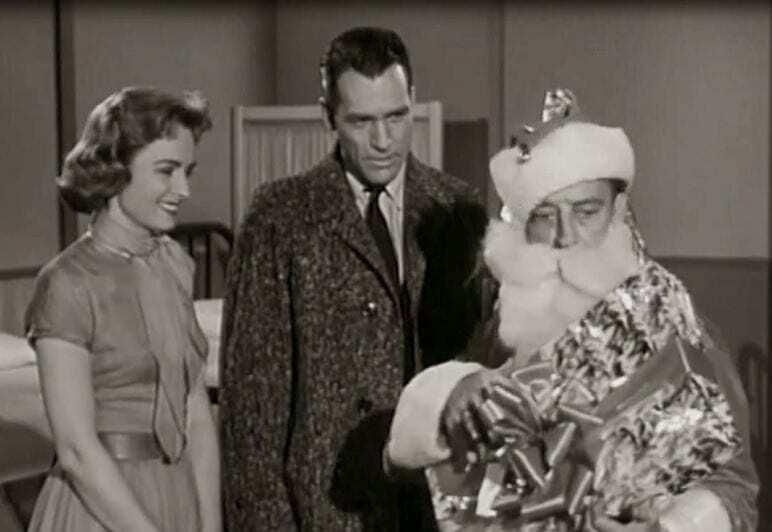 He played Mary’s boyfriend in The Donna Reed Show, but he had also played Donna’s son in It’s a Wonderful Life. Donna enjoyed bringing people she knew onto the set and Jimmy actually ended up playing three different characters throughout the eight seasons of the series. He became one of the few actors to to be a regular on a show and appear as multiple characters. Could you imagine the world without the iconic actress that was Donna Reed? Probably not. In reality, Donna did not plan to be an actress. In fact, her dream as a child was to be a teacher. She did perform onstage a few times while she was in school at Los Angeles City College. She was discovered and the offers began rolling in. Eventually, she decided to sign with MGM, but there was one condition she wouldn’t budge on: she was going to finish her studies. 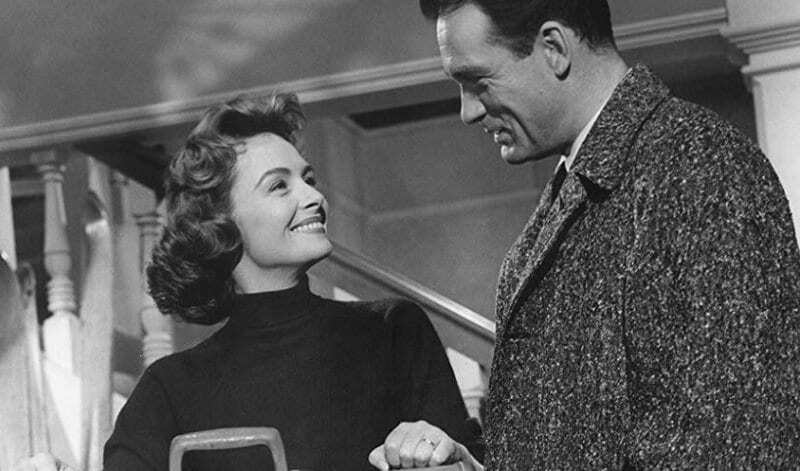 Most would definitely consider It’s a Wonderful Life to be Donna Reed’s breakthrough performance. Ironically, she was not the first choice to play the female lead character in the film. There were multiple actresses considered and offered the role before Reed, including Ginger Rogers. For one reason or another, they all were either unavailable or backed out. We’re not that sad for them though because this movie launched one iconic woman’s’ career and the world has never been the same since the Donna Reed star began to shine. 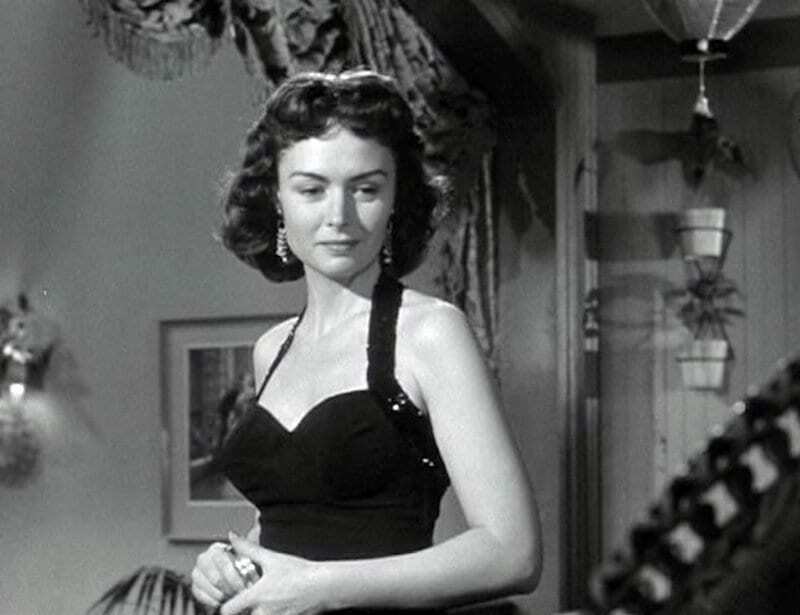 While Donna Reed is known for playing the lovely homemaker on her show, she also won an Oscar for her performance in From Here to Eternity, a war film from the ’50s – a role that was not quite as…G-rated. Though her character is definitely much more risqué in the novel, the film adaptation still leaves her with a provocative persona. She portrays a waitress at a gentleman’s club and a soldier falls madly in love with her because, well, how could he not? Donna was not just known for her work in films; she also had a voice of her own in real life. She was very interested in politics and liked to know what was going on in the world. Reed publicly voiced her opinion against nuclear plants and the Vietnam War. 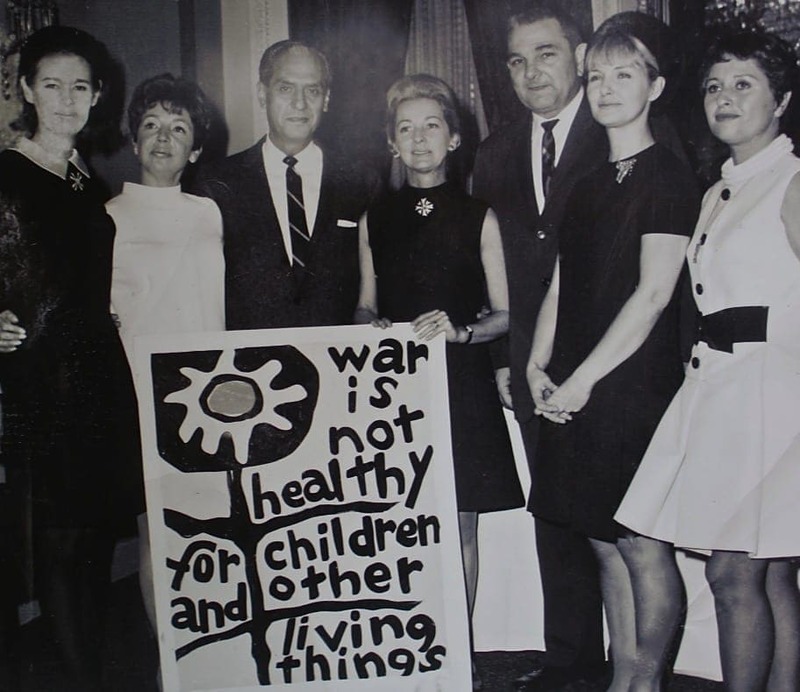 She feared that her son might be drafted and she became a peace advocate, co-creating the anti-war group Another Mother for Peace. Reed considered war and nuclear plants unsafe and unhealthy. Aside from her political and anti-war agenda, Reed also had many thoughts on the world of medicine and how people should help those who are ill. She was very involved in blood donation because she believed it to be extremely important in saving lives, saying that there was a critical need for it. The actress had also stated she believed everyone should be an organ donor and hoped that eventually more and more people would register. 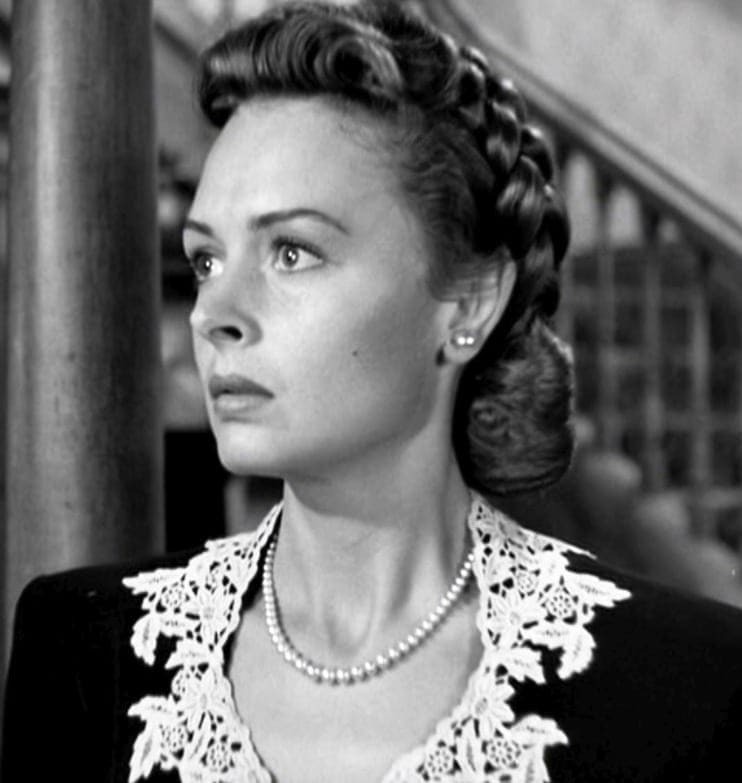 Of all Donna Reed’s memorable performances, she remembers one thing the most out of her career. This was a time where women were seen more as objects, wives, and mothers. It took much longer until they were respected the way they should be, and there is still a long way to go. What Donna was a bit disgusted by is that even after she was in all those films, she was still asked about what underwear she was wearing, as if her work didn’t matter.